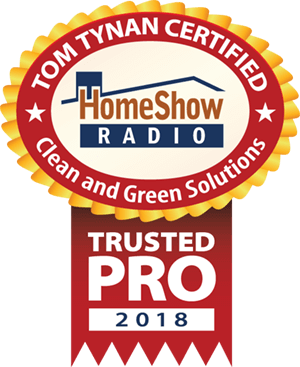 Clean and Green Solutions, 281.883.8470, of Kingwood Texas, services the entire Houston Texas area and provides our NO PRESSURE ROOF CLEANING service to homeowners of both Asphalt Shingle and Tile Roofs. At Clean and Green Solutions we NEVER use a Pressure Washer to clean your roof. ?Instead we apply, a 3% bleach based solution, that removes all those ugly black streaks from your Tile or Shingle Roof. Did you know that the companies that manufacture your roof, strictly advise against the use of a Pressure Washer to clean your Roof? Did you also know they recommend that only a Bleach Based solution be used to clean your Roof? ?In fact, having your roof cleaned any other way can VOID your warranty. This information is provided by the Asphalt Shingles Manufacture Association in a Technical Bulletin. There are many roof cleaning companies out there that advertise “No Bleach” roof cleaning, and use a cleaning chemical to apply to the roof and then a pressure washer to remove the ugly black stains. ?This method actually can cause granular loss, thereby speeding up the erosion of your roof. There are other products that require a solution to be sprayed on your roof and then forget and wait for rain to do the cleaning. These products can take 3-9 months to marginally clean your roof at best. 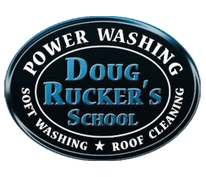 ?Our process cleans and returns your roof to it’s original color before we leave, using NO PRESSURE WASHER. 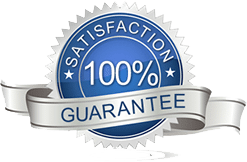 ?Why pay for a product or service that takes months to complete the job when you can have immediate results. Clean and Green Solutions services all areas of Harris and Montgomery Counties and the Greater Houston TX area. Houston, Conroe, Humble, South Humble, Kingwood, Atascocita, Summerwood, Eagle Springs, Spring, Porter, Porter Heights, Katy, New Caney, Splendora, Cleveland, Huffman, Montgomery, Woodbranch, Roman Forest, The Woodlands, Shenandoah, West University, Deer Park, Pasadena, Sugarland, Bellaire, Friendswood, League City, Webster, and all other areas. Here are a few of the zip codes we service, 77336 77339 77338 77345 77346 77347 77325 77347 77396 77365 77357 77372 77327 77328 77396 77044 77354 77373 77375 77379 77380 77381 77382 77383 77385 77386 77387 77388 77389 77391 77393 77301 77302 77303 77304 77305 77306 77384 77385 77005 77549 77546 77574 77573 77598 77449 77450 77491 77492 77493 77494, and many, many, more.